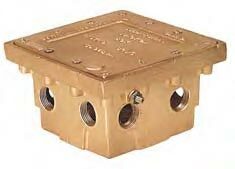 The PEM J34 JUNCTION BOX is made of cast bronze, with a Neoprene cover gasket, and is stainless steel fitted. It is equipped with a grout frame for flush installation into concrete and a separate grounding connection for each outlet. All tappings are NPT unless specified otherwise. 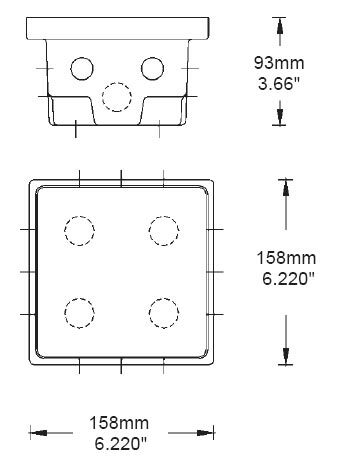 When box is ordered without tapping specifications, a blank box without tappings will be supplied (PEM #375-4000). Max. of 8 but not adjacent to a conduit. Max. 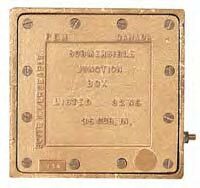 of 8 in any position but not adjacent to a conduit.